If Ghost Squad poisoned your soul shooting needs, then ‘The House of the Dead 2&3 Return’ should be the perfect antidote. ‘They’re fierce, they’re dead and they are coming for you!’ Well that is what it says on the back of the box anyway and this has translated very well on the Nintendo Wii. Even if you don’t have the Wii Zapper plastic moulding for your Wii Remote, you will still be enjoying the point and shoot antics within this classic coupling of SEGA titles. My last experience of these two games is when they appeared on the original Xbox. Luckily back then I was blessed with a couple of light guns, which accelerated the pleasure factor of the collection. Even better, the Nintendo Wii has this functionality right from the off thanks to the wizardry of the Wii Remote. 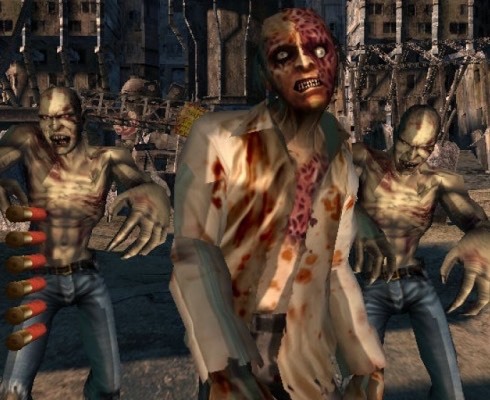 On the Xbox version you had to complete the third iteration before having access to the second, however right from the off, you can satisfy your blood lust, or well really zombie lust (yuk) without delay. It really is as simple as pointing and pressing shoot. A cursor appears on screen helping you aim and away you go with minimal fuss although this can be switched off for the purists. Just like other games of its class, reloading is achieved by aiming the Wii Remote off screen. All good here then, although skipping cut scenes is accomplished by pressing button ‘1’. This is not so ideal and I would have preferred it to be ‘+’, but never mind only a small blemish. So not only do you have one game, you have the pleasure of two. 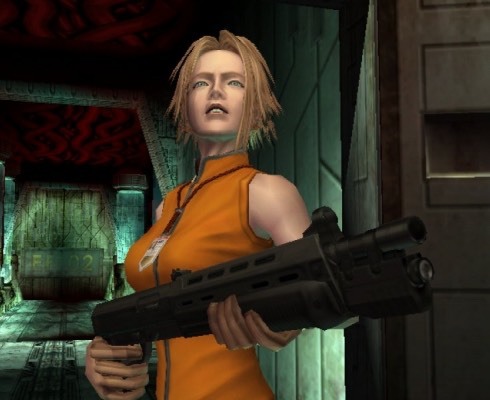 Both classics in their own right, House of the Dead 2 and 3 though are no different to your typical shooting games, where you have very little influence over direction, just aim and shoot and that’s it. All the usual additions of providing a screen select for different routes to traverse, which as we know is a crafty way of adding a little extra replay value. Other benefits are unlockable such as additional lives and credits on numerous play throughs. You may miss entering coins like we did on the original arcade version so the game doesn’t just end and back to the beginning you go, although there are good reasons for this. One is of course if you had unlimited continues the game would be over with very little challenge in next to no time. Secondly this is by far cheaper than the arcade variants and trust me be very thankful for that! The Nintendo Wii version of these games seems to look just as nice, as far as I can remember anyway. Certainly far more interesting to admire than Ghost Squad as the environments are rich with little touches. There are the usual destroyable objects with point scoring zones appearing as well so keep your eyes peeled. The boss fights are also far more adrenaline inducing, which makes these two titles a far more sensible purchase than Ghost Squad could ever be. Yes it looks dated by today’s standards, but let’s remember that these games are quite old, so we should be a little forgiving and after all, they don’t look terrible at all even now. 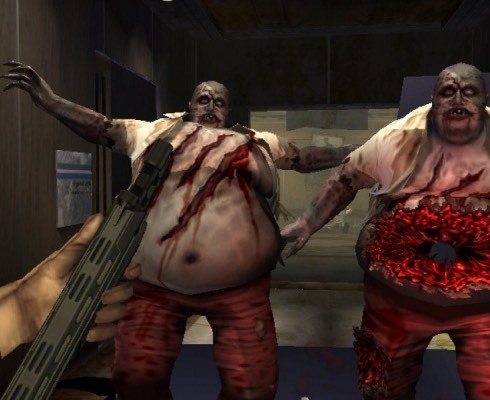 Zombies, zombies and a few areas of avoiding silly people stuck among the terror will appear on screen for you to annihilate in blood splattering fashion or to of course save where appropriate. You may even have to shoot down the odd chuckable weapon that is flying in the air towards you, while also attempting to fire at the enemy. Not an easy task, however you can adjust the difficulty if need be. You have to be quite precise in your accuracy particularly with the boss fights, not to mention the art of pointing and reloading at breakneck speed is crucial. 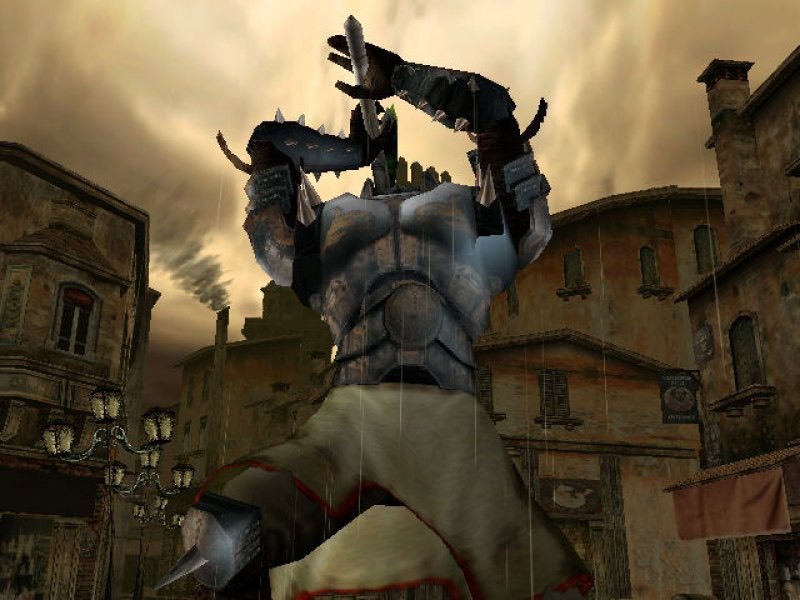 The sounds are all there as I remember and the character vocals are just as awful as they were before, but this is gaming history and tampering with such elements is enough to get you shot at dawn. Just don’t expect an engrossing story line. There are clips and snippets that just give you enough understanding of what is happening, however obviously in this type of game you want to start shooting again as soon as possible without delay. There is also two player support if you have a friend with you and a spare Wii Remote. Just be careful that when reloading you don’t thrust your remote into your comrades face when you get a little carried away. Also Time Attack is present, which replaces health with a timer. 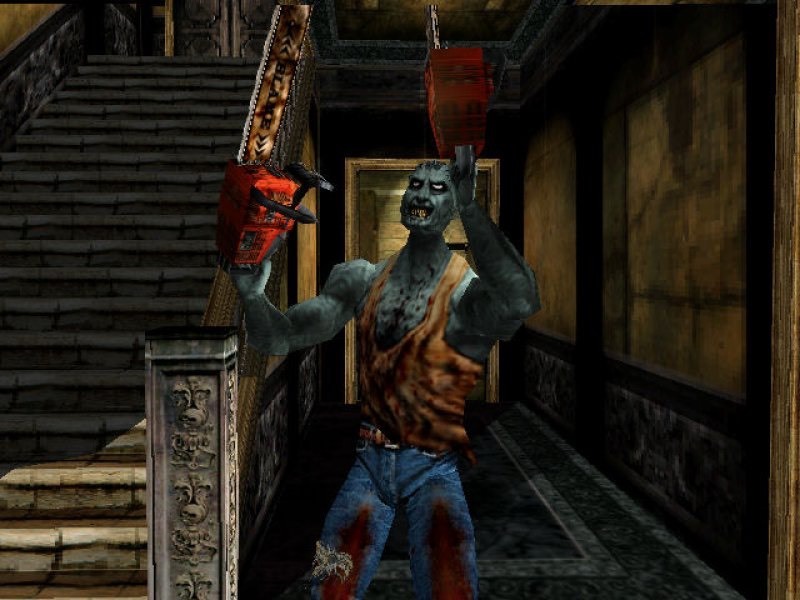 There is more to tinker with especially in House of the Dead 2… Training Mode gives you a selection of tasks to complete, Boss mode simply repeats just the boss fights and finally ‘Extreme Mode’, which unsurprisingly is a more extreme version for you to tackle. Alas there is no online element to upload your high scores to an overall worldwide scoreboard. Certainly one of the better shooting games available on any platform and even better you get two titles on one disk. Marvellous! 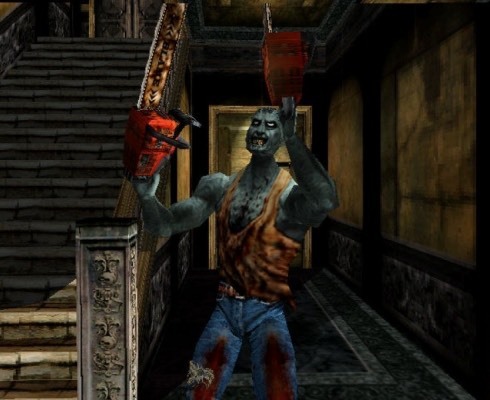 It does fall into the same problems any other title of this genre suffers, such as repetitive gameplay, cheesy cut-scenes and terribly short, although House of the Dead 2&3 Return is certainly one of the better incarnations to make a return appearance. They may be ageing more and more over time, but you can forgive a lot when you have your nostalgic inklings intact, although newer gamers will be a lot less forgiving than I. 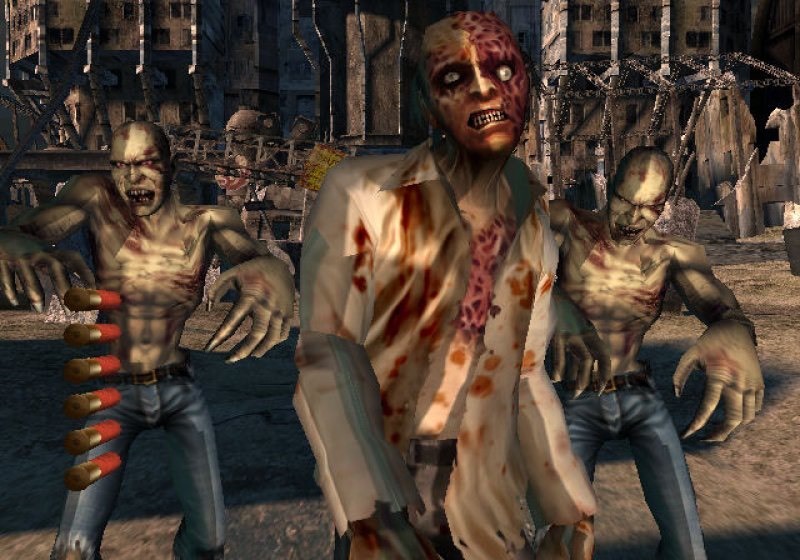 If pointing at the screen and shooting is missing in your life and you are craving a killing Zombie romp, these classics now available on the Nintendo Wii seem the perfect choice to fill this void. 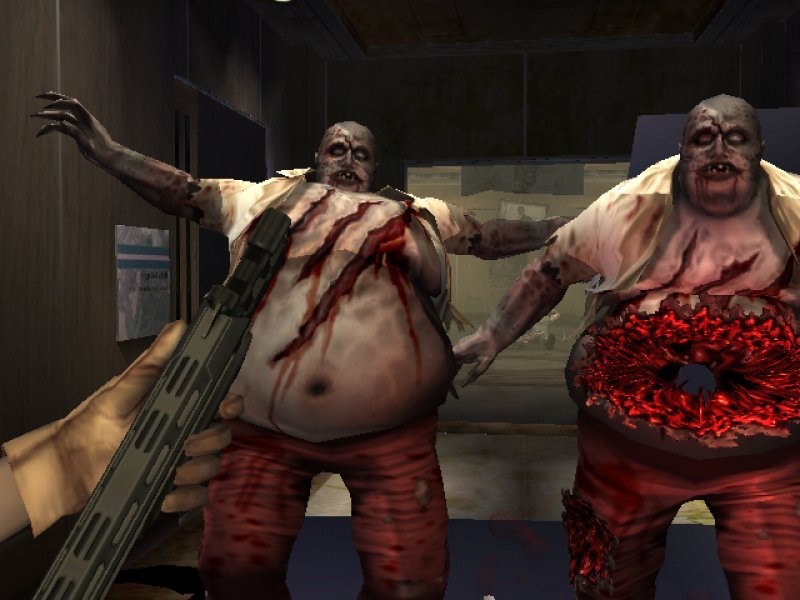 It is rated 15 so not a game for little Timmy, however for us older folk, detachable limbs dropping to the floor and gaping holes in zombie’s chests will excite your more adult zombie massacre requirements until we get a brand spanking new variation on the theme especially for the system (if ever we do! ).